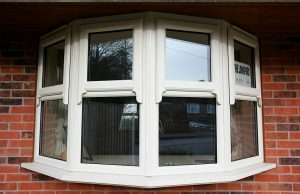 DW Windows are one of the West Midland’s most experienced and well respected double glazing companies. For over 10 years we have provided quality windows, doors, and conservatories for customers across the area. With our head offices in Coseley, we are only a short drive on the M54 from Telford town centre. We have completed lots of installations in Telford and the surrounding area, so if you live in Telford it’s likely that we’ve worked on a property somewhere near you. From Brookside to Ketley Bank, we have the local knowledge to make every installation a successful one. Telford is the largest town in Shropshire and one of the fastest growing towns in the whole of the UK. It is one of Britain’s ‘new towns’ which started development in the 1960s. Over the following three decades, Telford grew to be one of the most important towns in the area. Named after civil engineer Thomas Telford, the town is sometimes referred to as The Birthplace of Industry because of its close proximity to the major centres of the Industrial Revolution. With picturesque Ironbridge now classed as part of the wider Telford area, its industrial past is still visible in the landscape today. Being a new town, Telford was designed with an excellent infrastructure. Traffic problems around the town are relatively small compared to other parts of the country. 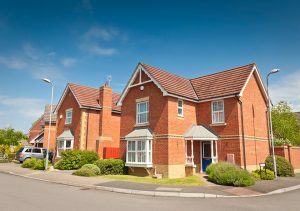 With excellent road and rail links, Telford is a consistently popular choice for homebuyers in the area and people wishing to relocate from further afield. If you live in Telford and you’re thinking about upgrading your windows and doors; DW Windows have a wide range of options for you to choose from. Our bay and bow windows are perfect for replacing tired 1960s and 70s originals, while our composite doors provide excellent levels of security and energy efficiency. If you want to extend your property, we offer a range of conservatories and orangeries in a variety of different styles. All our glazed extensions are manufactured to the highest quality and will improve your living space and increase the level of natural light entering your home. When you want a professional installation with outstanding customer care, DW Windows are the company for you. We treat every customer’s home with the utmost respect and we pride ourselves on our friendly and personable approach. For more information on any of our products and services call 0800 9990 909 or send us a message online. Yes, I would like to receive marketing communications regarding DW Windows Ltd. products, services & events. By submitting your details you confirm that you agree to the storing and processing of your personal data by DW Windows Ltd. as described in the privacy statement. Brilliant experience from start to finish. All your guys have been fast a professional. Very impressed with the work that was done and would recommend to others. Thank you for a fantastic job! 5 Stars.